Its well known that I’m quite the watch enthusiest/collector, (a habit I picked up from my father), and when I saw this most recent watch, I knew it was only befitting that I confuse you guys with Andy Kurovets’ Maze Of Time. 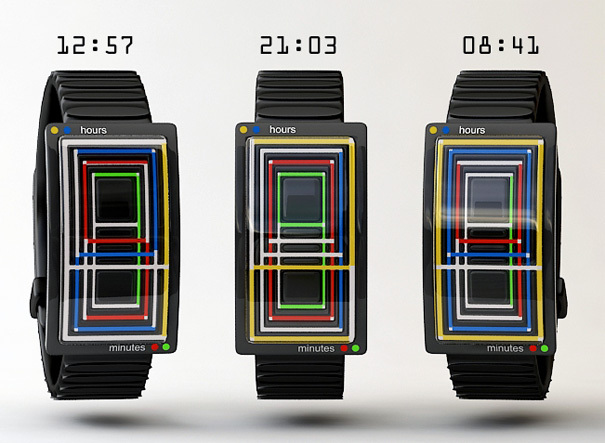 The Maze Of Time watch uses colors in a kaleidoscopic way to represent the time. So when you see a chaotic yellow line below, it’s actually the number “1”. Blue is the number “2”, red color stands for “3”, and “4” corresponds to the green etc. Kinda TokyoFlash-esque and time to get your grey cells working, not to mention it looks super ill.
Wow, that’s amazing. 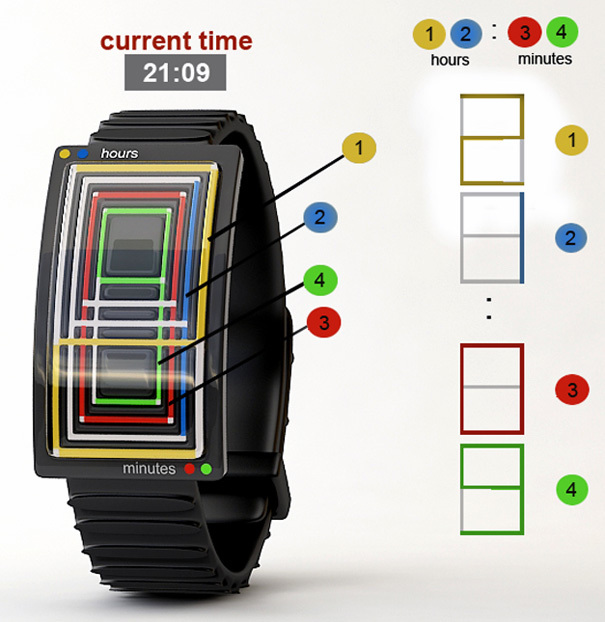 Not so sure I could be bothered to try and work it out each time I wanted to know what the time was, but it’s a neat idea.